Potato Association of America — "A Professional Society for Advancement of the Potato Industry"
Winnipeg is pleased to host the 103rd Annual Meeting of the Potato Association of America at the Delta Hotel, Winnipeg, Manitoba, Canada from July 29 to August 1, 2019. The deadline for early bird registration rates is June 5, 2019. Visit paaevents.org for more information. 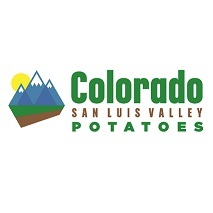 Welcome to The Potato Association of America website! The Potato Association of America (PAA) was formed in 1913 by a handful of dedicated individuals from Maine, New York, Colorado and Washington D.C. Members are primarily from the United States, Canada, Mexico, and Latin America, but another 30 countries throughout the world are represented in the membership.